The method used by the Ordnance Department for designating and tracking returns from Pennsylvania’s independent batteries leaves a lot to be desired. In their defense, the state did not aid their administrative endeavors with simple unit designations. The way I organize these units, in my mind at least, involves recognizing there were “Independent Batteries” which were given lettered designations as such. And there was a second set which, due to various reasons, were identified by battery commander – some not existing long enough to gain the lettered designation; some being reorganized and placed in heavy regiments; and some simply escaping any “regimented” designation. Battery G – Young’s Battery – not listed above. And a lot of sorting we will need. Notice that only seven of the fifteen batteries indicated posted returns. And one of those seven had a posted date of April 10, 1864. So there are a lot of gaps to start with. Mlotkowski’s Battery – Battery A – Reported at Fort Delaware, Delaware, but with no cannons. 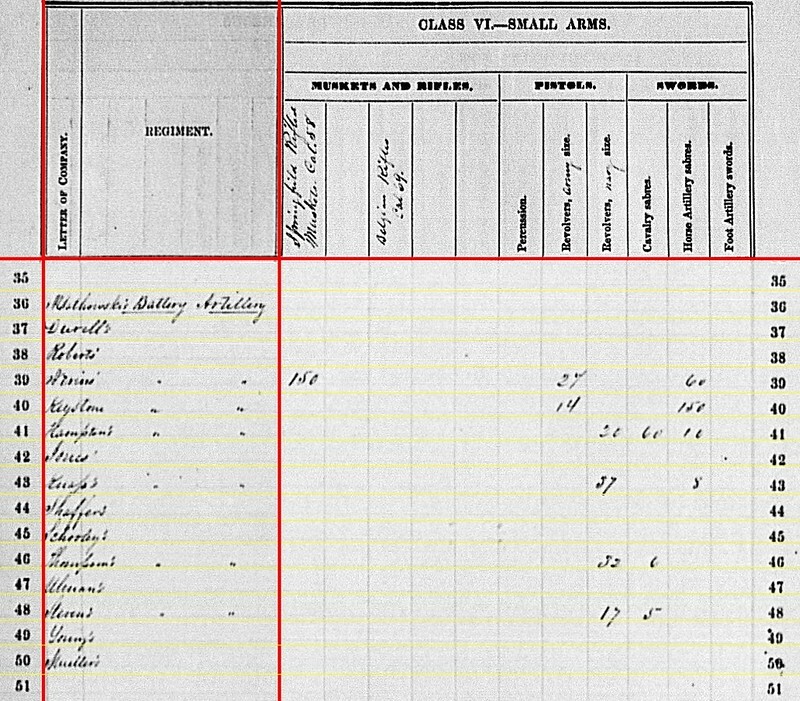 The duty location and commander’s name matches to a 1st Pennsylvania Battery (also cited as Battery A Independent Heavy Artillery), under Captain Stanislaus Mlotkowski. If so, this was previously listed under Captain Frank Schaffer. Durrell’s Battery – Battery D, of the independent batteries mentioned above. – No return. Captain George W. Durell commanded. Assigned to Second Division, Ninth Corps. Following the “Mud March” the battery accompanied the division to the west, to a posting in Kentucky at the end of the winter. Roberts’ Battery – No return. this may be a reference to a battalion of heavy artillery organized by (then) Major Joseph Roberts. The four batteries in the formation later became Companies C, D, F, and (part of) K in the 3rd Pennsylvania Heavy Artillery Regiment, with a date of February, 1863. However, a formation called the 3rd Pennsylvania Heavy Artillery Battalion was reported at Camp Hamilton (outside Fort Monroe) under Major John A. Darling (who was later a staff officer in the 3rd Regiment, so this is likely the same unit). 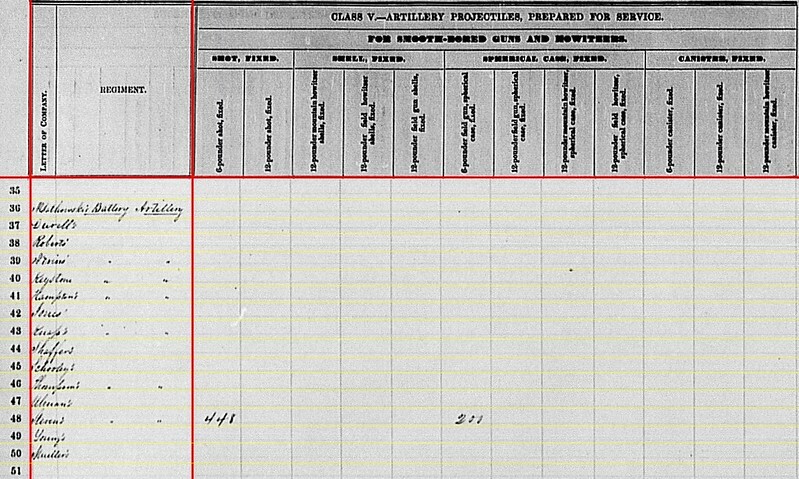 Illegible to me, but I think this is Nevin’s Battery– Battery H – Listed as at Fort Whipple (Fort Myer), in the Washington Defenses, but no assigned pieces. Captain John I. Nevin would spend the war around Washington, DC. Keystone Battery – Reported at Centreville, Virginia with six 10-pdr Parrotts. I would match this to Captain Matthew Hastings’ battery, assigned to Casey’s Division and part of the Washington defenses. Hampton’s Battery – Better known as Battery F – Posted to Aquia Creek, Virginia with six 10-pdr Parrotts. Captain Robert B. Hampton’s battery was assigned to Second Division, Twelfth Corps. Jones’s Battery – No return. If I’ve transcribed the name correctly, this must be Captain Paul I. Jones’ Independent Heavy Artillery, which became Company L, 2nd Pennsylvania Heavy Artillery (November 1861). Knap’s Battery – Battery E – Paired with Hampton’s Battery F (above), also posted to Aquia Creek and with six 10-pdr Parrotts, in Second Division, Twelfth Corps. Captain Joseph M. Knap served as the division’s Artillery Chief, with Lieutenant (later Captain) Charles A. Atwell assuming the battery position. Schaffer’s Battery – Battery A – No return. I think this is a duplicate with Mlotkowski’s Battery (above). Schooley’s Battery – No return – This is most likely Captain David Schooley’s Independent Company Heavy Artillery which was later designated Company M, 2nd Pennsylvania Heavy Artillery (also occurring in November 1861). Thompson’s Battery – Battery C – At Falmouth, Virginia with four 3-inch Ordnance Rifles. Captain James Thompson’s battery supported Second Division, First Corps. Ulman’s Battery – No return. 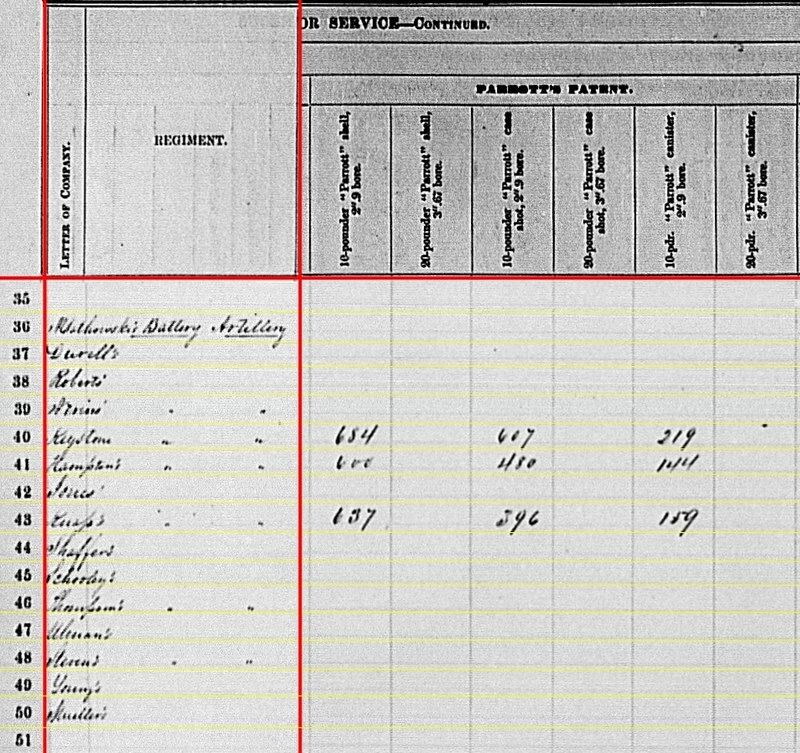 As mentioned for the last quarter, my best guess is this being Captain Joseph E. Ulman’s independent battery. The battery ceased to exist in March 1862, but apparently lingered as a ghost on the paperwork. Stevens’ Battery – Battery B – No location given but with four 6-pdr field guns and two 3.80-inch James Rifles. Captain Alanson J. Stevens’ battery supported Third Division, Twenty-first Corps, then stationed at Murfreesboro, Tennessee. Muehler’s Battery – No return. Charles F. Muehler was the original commander of what became Stevens’ Battery B. So this looks to be a duplicate entry line. Good news here, most (six of seven) batteries with returns posted are easily matched to lettered independent batteries. Of course, the bad news is that I’m offering you a lot of “best guesses” here to round out the rest. Worth noting, also listed at Fort Delaware for this reporting period was the 1st Pennsylvania Marine and Fortification Artillery, Batteries A and B, under Captains John S. Stevenson and Franz von Schilling, respectively. Those batteries would become part of the 3rd Pennsylvania Heavy Artillery, and thus fall outside our scope. Stevens’ Battery B – 448 shot and 200 case for 6-pdr field guns. Thompson’s Battery C – 82 canister, 99 percussion shell, 144 fuse shell, and 505 bullet shell for 3-inch rifles. Keystone Battery – 684 shell, 607 case, and 219 canister for 10-pdr Parrott. Hampton’s Battery F – 600 shell, 480 case, and 144 canister for 10-pdr. Knap’s Battery E – 657 shell, 396 case, and 159 canister for 10-pdr. Thompson’s Battery C – 100 Schenkl shells for 3.80-inch James rifles. Nevin’s Battery H – 150 Springfield muskets, twenty-seven Army revolvers, and sixty horse artillery sabers. Keystone Battery – Fourteen army revolvers and 150 horse artillery sabers. Hampton’s Battery F – Twenty Navy revolvers, sixty cavalry sabers, and ten horse artillery sabers. Knap’s Battery E – Thirty-seven Navy revolvers and eight horse artillery sabers. Thompson’s Battery C – Thirty-two Navy revolvers and six cavalry sabers. Stevens’ Battery B – Seventeen Navy revolvers and five cavalry sabers. 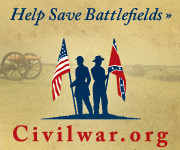 We see substantial small arms in the two batteries serving in the Washington Defenses, which is to be expected. While I’m not absolutely certain about the identification of batteries listed in this portion of the summary, I am confident those which reported ordnance on hand are properly set in context. Not to diminish the service of those at Fort Delaware, but those units likely only serviced the garrison artillery… if they serviced them much at all.